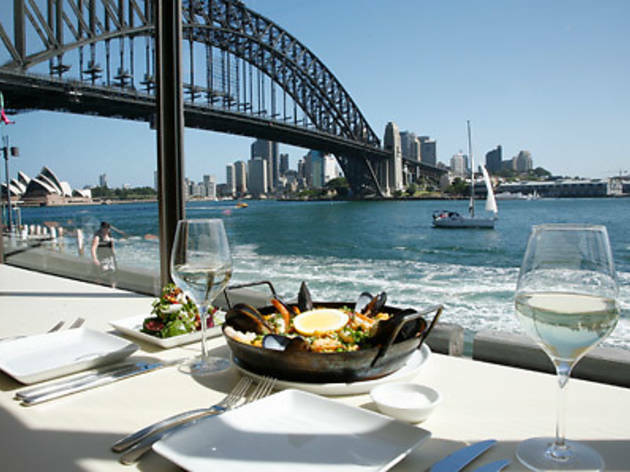 Located inside the Face at Luna Park, the Deck is a modern restaurant and bar that boasts panoramic views of the Opera House, Harbour Bridge and CBD. The Deck’s menu tends towards share plates like Manti (Turkish dumplings stuffed with lamb); Spring Bay mussels cooked in a creamy saffron sauce, garlic, onion and thyme; pumpkin tagine; and paella. The Deck’s cocktail list includes the Velvetine and Agwjito, and fruity concoctions like the Watermelon Cooler. 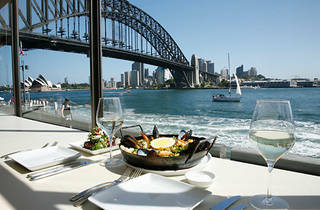 The wines include drops from the Margaret Valley, Malborough and Salento regions. Wed-Sat 8am-1am, Sun 8am-12 midnight.